Margrit Shildrick and Roxanne Mykitiuk (editors); The MIT press, London, 2005, ISBN 0-262-19523-2, £43.95 (hbk), ISBN 0-262-69320-8, £17.95 (pbk). In her introduction to this dynamic volume, co-editor Margrit Shildrick argues that mainstream bioethics is fundamentally ‘out of touch’ (p. 1). As bioethicists cling to outmoded modernist views of the self, while relying on and reproducing essentialist binaries, bioethics remains disconnected from actual bodies and the impact of postmodern culture and theory. Within this highly technological ‘era of postmodernity’ (p. 3), the book contends, such modernist conceptions are untenable. The collection’s contributors argue that postconventionalist approaches, which include postmodernist, poststructuralist, phenomenological and other deconstructive methodologies, offer the means for a ‘radical reconfiguration of bioethical thought’ (p. 4). The book is divided into four key sections including, ‘Critical Differences’, ‘Thinking Through Crisis’, ‘The Challenge of Biotechnology’ and ‘Rethinking the Materiality of Embodiment’. Many of the essays deal with issues currently central to bioethics, such as genetics and reproductive technologies. The volume effectively contests and extends the normative boundaries of mainstream bioethics, however, by addressing a wide range of embodied experiences not typically considered bioethical concerns, such as HIV, cancer, intersex surgery, drug addiction and borderline personality disorder. While diverse, the essays are linked by a shared desire to interrogate and upset modernist binaries (such as self/other, mind/body, normal/abnormal and health/illness) and to theorize embodied differentiation, multiplicity and power within the realm of bioethics. 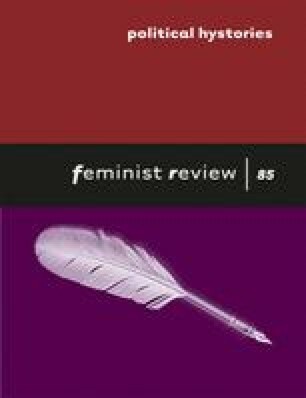 Feminist scholarship provides an important orientation and resource for many of the authors; however, feminist bioethics is criticized for pursuing ‘radical reform’ rather than ‘taking the risk of a thoroughgoing deconstruction’ (p. 16). One of the book's most convincing critiques attacks the widespread belief within scientific and bioethical circles of the possibility of impartial, objective observation divorced from embodied particularity. Contesting the claim of ‘pure’ genetics to ‘know the origin of the expression of identity and difference outside its social meaning’ (p. 246), Rosalyn Diprose illustrates the ‘complicity of genetics in the production… of th[e] interval or limit between different identities’ (p. 247). Similarly, Marsha Rosengarten discusses the discursive construction of the HIV viral load test to show how ‘HIV medical science participates in the materialization of objects while presuming these objects to be external to its operations’ (p. 74). These and other essays make a strong case for the necessity of postconventional approaches, which theorize material-discursive links within bioscience and bioethics and address the relationship between scientists’ and bioethicists’ embodied socio-political locations and their observations and recommendations. Beyond offering a rigorous critique of bioethics’ modernist foundations, the volume also develops new ethical models, which draw on the resources of biotechnology. For example, while many of the essays are critical of the social and political implications of various biotechnologies, several authors also provided thought-provoking analyses of their subversive possibilities. Jackie Leach Scully argues that while biomedicine routinely constructs and reifies essentialist distinctions between ‘normal’ and ‘abnormal’, which are especially problematic in relation to disability, the genetic model holds ‘subversive potential’ (p. 63) to ‘destabilize the ideal of normality’ and to ‘see variation as morally neutral’ (p. 64). Furthermore, Isabel Karpin suggests that as genetic code fundamentally ‘imbricates us with the other’, (p. 196) genetic discourses can be employed to disrupt the sovereign subject of modernism. Genetics may enable a move towards a notion of selfhood ‘based on interconnection and intermingled identity’ (p. 196), which could provide a starting point within legal frameworks for dealing more justly with people. The move to disrupt problematic binaries such as normal/abnormal and healthy/diseased through employing biotechnology to reveal evidence of fundamental human ‘sameness’ in some of the essays, however, seemed somewhat problematic. For example, Karpin argues that biogenetic discourses ‘reveal the monstrousness in all of us’ (p. 196), Karen O’Connell suggests that genetics ‘has the capacity to reveal every individual as disabled’ (p. 227), and Helen Keane asserts that the drug–body encounter can be theorized as ‘not a deviant or unusual state, but rather a norm of embodiment’ (p. 105). Such approaches may be effective in contesting the construction of particular bodies (such as ‘the disabled body’ and ‘the drug addict’) as ‘Other’. Yet this recourse to sameness may actually risk producing a rather disembodied analysis, which proceeds through effacing the relations of power involved in hierarchical processes of embodied differentiation. The book's central contention that bioethics is ‘out of touch’ (1) assumes that western industrialized nations are now enmeshed in a distinctly postmodernist era, and hence bio-ethics needs to refigure itself accordingly. However, is this really the case? In some ways, the collection fails to confront head on the wider geo-political context in which, for example, the rise of neo-liberalism (not to mention neo-conservatism) signals a powerful resurgence of modernism rather than an established postconventional epoch. Considering strategies for negotiating the serious social and political constraints on employing genetic models for subversive or socially productive purposes may have made such postconventional strategies seem more plausible. On the whole, the books’ willingness to engage with key critiques of postmodernist thought, while illustrating the many ways in which postconventional analyses radically transform and illuminate the field of bioethics, makes it a very powerful and stimulating read.